by Nomstress in Uncategorized Tags: breakfast, DOUGHY, lemon, raspberry, Sinfully delicious, Yum-Tastic!!! It’s 2 in the afternoon. I realize 2 pm is a bit past breakfast for most of the world, but we run on our own schedule around here. Rat Boy is doing a Photoshop tutorial (a.k.a. school) and Hubby is napping. 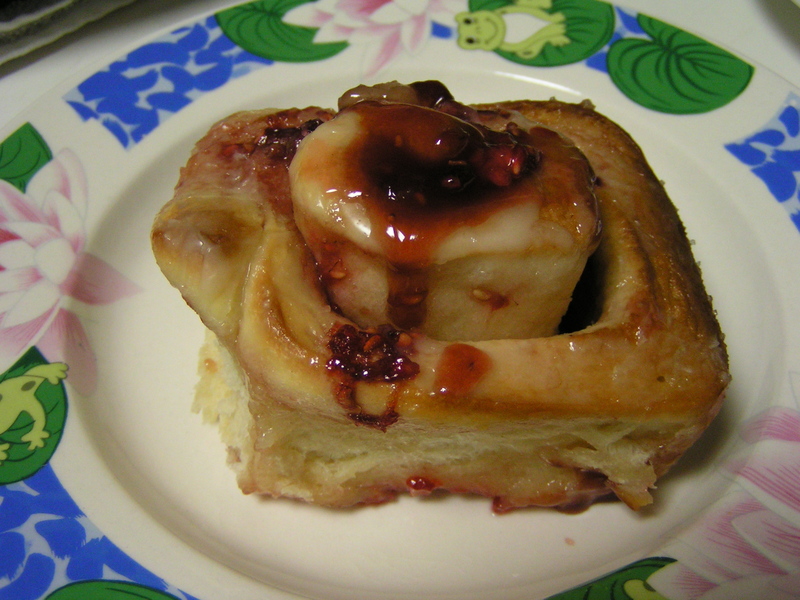 I just polished off the most awesome breakfast pastry I have evah produced on my own. By that, I mean it didn’t come out of a can with a little guy in a baker’s hat on the outside. 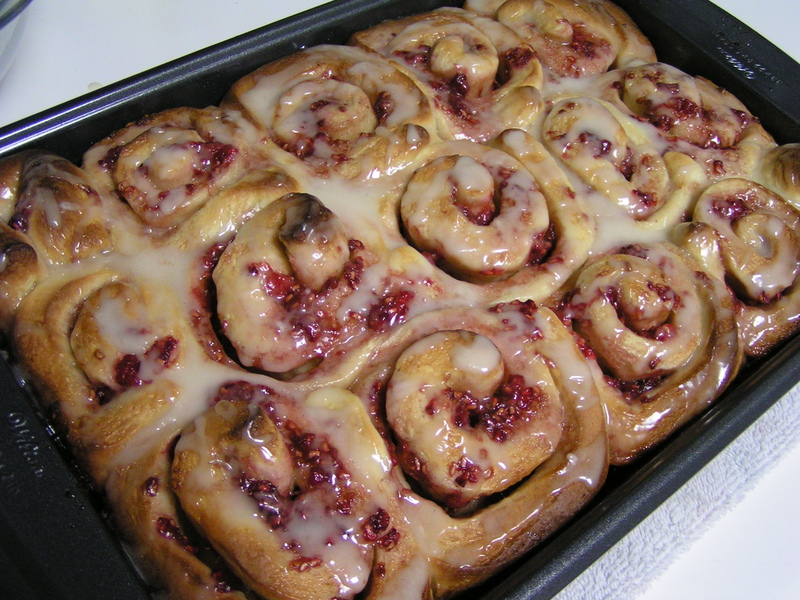 Behold the beauty of the Lemon Raspberry Roll! I found the recipe at Joy the Baker. She has many yummy things, but this one jumped out at me. 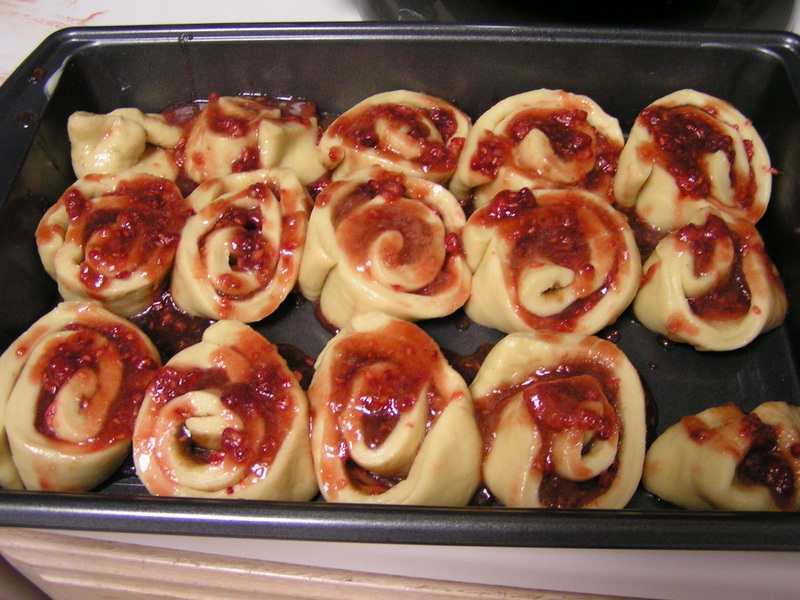 The recipe for these scrumptious breakfast rolls is here. They’re a bit messy in the construction process. 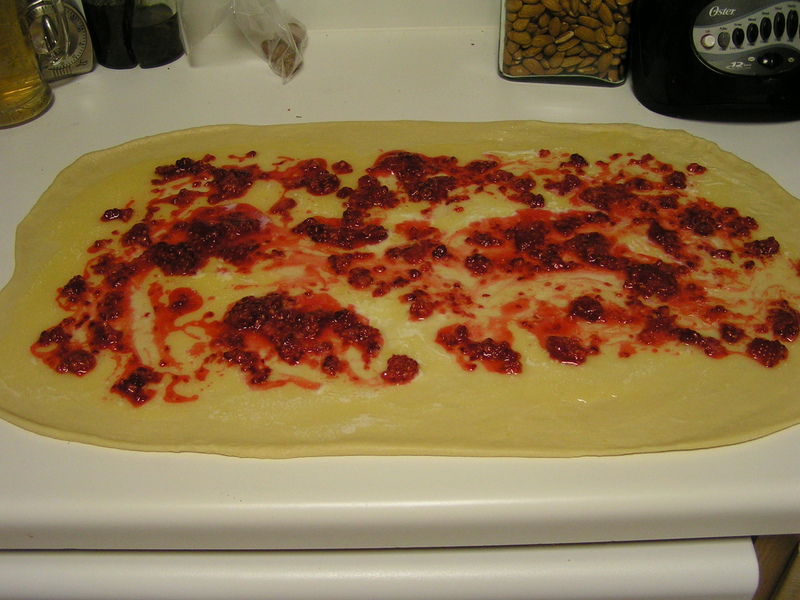 I had a bit of trouble getting the filling to stay inside the dough as I was rolling it up. Somehow, magically, they cam out looking like this on my first try! Rat Boy and Hubby also gave 2 thumbs up. Sometimes I wonder if they are just being nice so I’ll keep feeding them. Not today. I ate 2 already, and would probably have another, except we’re going for sushi in a couple of hours! Plus, my diet plan is screaming in agony…as are my jeans.